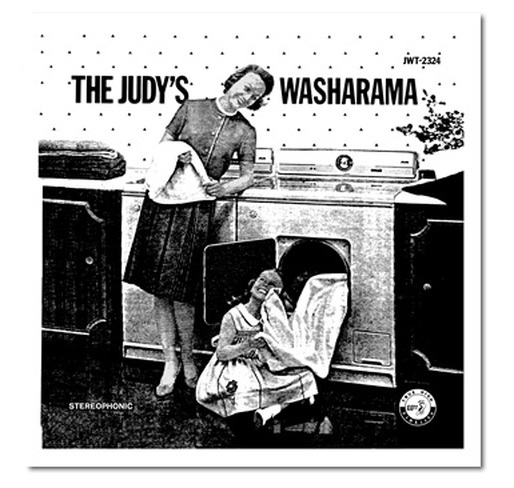 The Judy’s first full-length and most popular recording, Washarama was a watershed event in the Texas new wave scene and solidified the band’s status as the state’s most original and daring musical provocateurs. The album perfectly captures the band’s quirky sensibility and their signature minimalist sound. 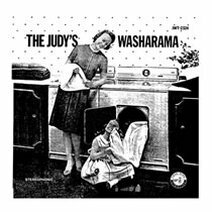 The twelve-song, 35-minute album includes some of The Judy’s most popular songs including “Her Wave”, “Man on a Window Ledge”, and the legendary “Guyana Punch”. This was the first time that the band had spent an extensive (for them) amount of time on a recording project including a total remix of the album after its initial completion. The album was officially released in 1981 at a record release party at Houston’s Agora Ballroom and literally became a top seller overnight. Sales were later bolstered by Wasted Talent securing distribution from a major regional distributor. Despite its age, Washarama still holds its own as the classic Texas new wave album. Available on limited vinyl and the new CD reissue.